Kurrajong Kitchen Lavosh WIN Silvers & Bronze at RAS Fine Food Awards 2017! 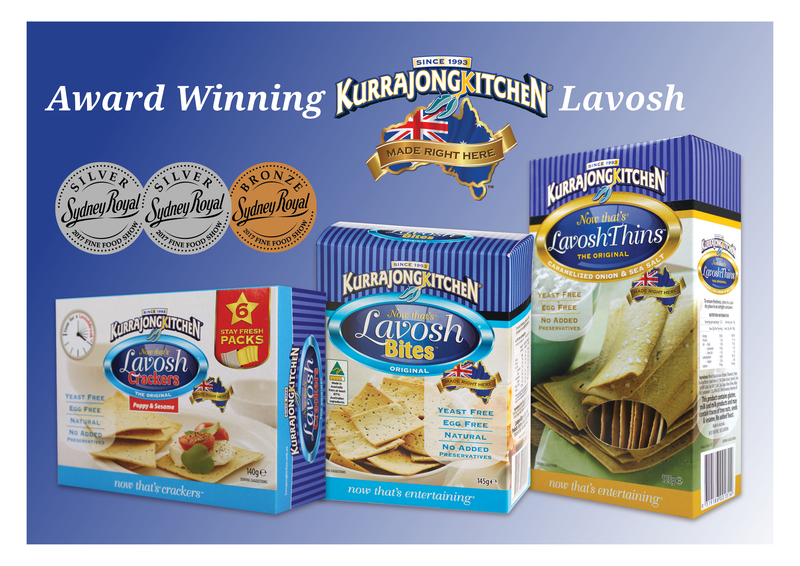 We are proud to announce our Silver awards go to our popular Kurrajong Kitchen Lavosh Crackers and Kurrajong Kitchen LavoshThins – Caramelized Onion and Sea Salt. Our Bronze award goes to the ever so popular Kurrajong Kitchen LavoshBites. Look out for these winners at your favourite supermarket, fruit market and deli.